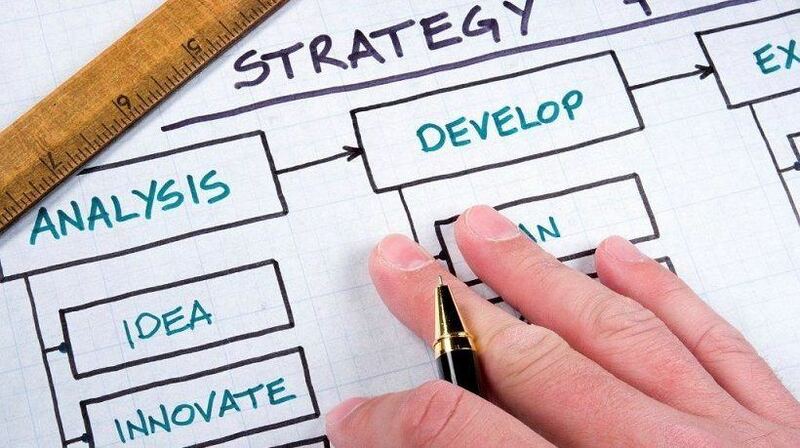 Development of a strategic eLearning plan is one thing. Successful eLearning implementation is another. We first need to consider the learning outcomes sought, political landscape, technology constraints/opportunities, resourcing, and general organizational readiness. Just by its nature, technology adaption brings with it a lot of organizational change issues. Change is a given if we do not simply want to replicate our old ways of doing things in a digital environment. Of course this approach would not be advantageous. Challenges will be met; therefore, we need to be ready for the disruption change can (will) bring to our organizations when introducing a comprehensive eLearning strategy. So how do we introduce new digital learning environments whilst avoiding the pain so many organizations have already suffered? We need to not only consider the technology we want to introduce, but organizational and change management principles as well. The ‘people’ things. A few months ago I published an evidence-based paper called A University's Strategic Adoption Process Of A PBL-Aligned eLearning Environment: An Exploratory Case Study in Educational Technology Research And Development. The paper gave us useful insight into eLearning technology adoption at an organizational-wide level. As this work looked at the challenges faced by teaching staff due to technology integration and the change management principles that helped overcome implementation barriers, and suggests that many of these lessons are transferable, I thought it would be opportune to highlight the most useful tips and summarize them here. Whilst this research particularly looked at a Problem Based Learning (PBL) eLearning environment implementation (i.e. technology-enhanced learning environments that foster critical thinking and problem solving), it showed us that with technology-driven education it is important to do the implementation systematically and driven by pedagogy. Therefore, it still offers a lot of lessons for those wanting to implement eLearning, whatever the pedagogy / instruction method. We have witnessed many failures, spent finances, and frustration with little return in the implementation of digital learning environments. Sadly, the implementation of educational technologies has not always resulted in positive learning experiences or outcomes for students. Technology complications aside, this was often a result of not fully understanding the dynamics generated by introducing technology into the education arena. In some of the worst implementations, traditional ‘chalk & talk’ teaching approaches were simply replicated with new technology. For administrators of educational institutions this at first seems very attractive due to possible significant cost savings due to unlimited scalability. However, in reality, this mostly leads to a poor learner experience, poor educational benefit, dissatisfied students, and disenchanted teaching staff. Not a good position to be in. The good news is that research shows us how to do better. Say ‘Good-Bye’ To Teaching And ‘Hello’ To Learning! Taking a step back from the technology itself, it is important to consider how we want to apply IT in the classroom. When introducing technology in educational settings, we need to rethink the pedagogical methods of deployment. Technology offers us so much more than blackboards and chalk ever did. We can now employ rich multimedia content that provides a more interactive and engaging learning experience. Teaching methods, therefore, need to be rethought to get the best out of new technology. We know from studies in education psychology how students retain knowledge and how they can apply it to situations outside the classroom. This has motivated the development of various ‘active’ or student-centered pedagogies (teaching methods). These include problem-based learning, scenario-based learning, and enquiry-based learning, to name a few. These pedagogies promise better learning outcomes than previous didactic approaches to teaching as they promote the development of critical thinking and problem solving abilities. We also know that today’s multinational, innovative, and technologically sophisticated environment employers need employees who are critical thinkers and effective communicators, people who can think outside of the box and solve problems. To accommodate employers, today’s employees need to readily practice higher-order skills of critical thinking and complex problem-solving. So we need to consider how we can employ educational technology more effectively, in ways that develops these higher-order problem-solving and critical thinking skills. Problem solving challenges need to be achievable otherwise they can act as a de-motivator. In encouraging problem solving for deeper learning, problems provided to learners need to be within context and in-line with the stretch-abilities / skills of the learner. Setting a goal too high will demotivate whilst setting a goal too low will do the same. Understanding the learning outcomes helps us set the difficulty of the problem to be solved. Educational technology can help us here as well. For example, a pre-test to diagnose students’ prior knowledge could be administered in a Learning Management System (LMS) as a ‘placement test’; the results could trigger different outcomes. Fail the test, for example, and be automatically booked on an easier foundation or bridging course; pass the test and progress along the intended learner journey. Such a diagnostic testing component can identify possible knowledge gaps and unlock suitable bridging courses to target those gaps. Different learning journeys and learning-logic can place the learner in a ‘correct spot’ in their learning journey, for example, navigate the learner to ‘jump to’ an area/item or go to a ‘restricted area’. If questions are answered incorrectly a ‘jump to’ the start of the course action can be initiated so that the learner has to study the content again. Elements can also be retrieved from a restricted area, for example after successfully passing an exam, or, if a lesson needs to be completed in a specific sequence. Secondary non-technical considerations are the organizational issues that facilitate, or hinder, technology induced change. If considering employing active learning pedagogies to make the most of eLearning a shift in the traditional teacher student dynamics is needed. Teachers need to develop new skills to facilitate, not teach. Students also need accept new learning roles of discoverer of knowledge, not just being passive learners. With these approaches learners act as active participants and teachers act as mediators or facilitators of learning, unlike traditional teaching approaches. Numerous issues related to learner-centered technology integration were observed during this study. My research shows that technology integration requires much more than simply acquiring technical skills and the provision of technology tools (a new Learning Management System, etc. ), organizational and change management principles are needed. The study suggests that learners are enthusiastic about the realism of the active learning approach in delivering real-world practical experiences. However, it can lead to negative experiences for faculty staff. Teachers need a shift away from the orthodox way of teaching to where they provide guidance, not answers, to students. For this they need to learn new teaching skills and the content knowledge for eLearning. Subsequently, teaching staff needs support from their institutions, at the highest level. Put a well-defined process in place for managing change and prioritizing new initiatives, especially as supported environments continually evolve. Provide funding and central support to teaching staff that are re-engineering their course designs to best use technology enhanced approaches. Focus on making tools scalable, sustainable, interoperable, and easy to use. Provide staff with assistance, for example an eLearning Coordinator, who is a technology champion and consults on the best way that technology could contribute to the quality of teaching, eLearning experiences, and assessment. Create a Community of Practice (CoP) to give staff an avenue to share ideas for designing eLearning content, swapping experiences, and best practice sharing. Communicate to the organization, frequently. Given the importance of overarching change and stakeholder management activities it is necessary to communicate progress, issues, and tips via clearly defined communication and marketing activities. Activities may include: A (monthly) electronic project newsletter providing continuous information on project progress, stakeholder-related workshops to provide feedback and gather input on project activities, etc. Accept resistance as part of the process and be prepared to deal with it. Recognize and reward teaching staff who reuse/remix/republish open learning materials. The good thing is that the lessons learned here are not tied to the higher education sector, they are transferable to the business sector as well. Looking back at the technology, to ensure a successful eLearning implementation it is important to use change-management principles, and also, understand what you want in advance (although this is subject to change in time). It is important to specify your functional and non-functional requirements. For functional requirements consideration into ‘what’ your new system will do is important. Develop your own ‘use-case’ and think about the technical details, such as calculations, data manipulation and processing, plus other specific functionality that you need. For example, every time a student enrolls on an online course, a confirmation email is sent to them. Think also about the integration of your IT landscape to other systems (HR systems, email platforms, Active Directory, etc.) and whether one-way or two-way information updating should be done, and if so, what scheduled time (e.g. 2am daily). Non-functional requirements, sometimes known as 'quality attributes' of a system, define ‘how’ a system will perform its functions. Security, certification, availability, reliability, usability are all examples. Using the student course enrollment and the email example above, a non-functional requirement would be the amount of time before an email confirmation is sent out to a student after they have enrolled: In other words, “The student shall receive an email confirmation 5 minutes after enrolling on an online course”. Your Learning and Development team must be engaged in developing these in a way that matches the organization’s future business and HR plans, and Learning and Development strategy. Having well-defined functional and non-functional requirements is a must when searching for a future solution provider. As is future proofing your technology. Ask your vendor what their strategic vision is? Do they have a product roadmap? Are you able to contribute to this? What system updates are foreseen? How often do they happen, and how are they delivered? The learning organization needs to consider the pedagogical approach it wants to engage and then look for tools and content to accommodate that. Developing specific task-related challenges using digital content that people could use to solve real-world context-centric problems will make a positive contribution to the learning organization. To implement a project successfully, supporting change management activities are also needed after official go-live of the new educational technology. These activities cover all aspects of project management and monitoring, reporting and re-view, issue management, documentation, and organizational-wide communication. Once involved in eLearning it is also important to consider post-training issues and how to help people from forgetting what they have just learned. For more on this topic, please read an earlier article, How To Mitigate The Forgetting Curve With Microlearning.